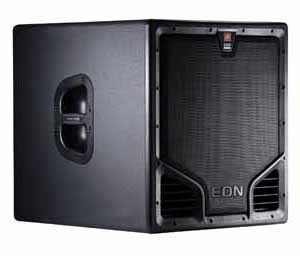 The EON518S is an 18-inch, direct radiating, high performance powered compact subwoofer system. Designed to extend low frequency performance of any EON system. It also offers the convenience of an integrated crossover and stereo loop-thru capability. The EON518S is comprised of a 460 mm (18") Differential Drive� woofer driven by a 500 watt Class-D digital amplifier. Optimized for complete compatibility with EON� full-range speakers.